The Staging Team is a home staging company serving the Sugar Land, Katy, Houston and Richmond housing market. We specialize in staging vacant homes for Home Owners, Real Estate Agents, and Investors. Our professional home stagers offer home staging solutions to help you bring out the best qualities in your home when you are selling it. We emphasize the space, functionality and features of a house so that prospective buyers can envision themselves living in it. We stage our homes using only high-end, on-trend, neutral toned furnishings that appeal to a broad range of buyers. We purchase all of our items new from national wholesale suppliers and local retail furniture stores. We use only quality furniture and decor - never thrift store or outdated furnishings. HOUSTON'S UPSCALE HOME STAGING AND RE-DESIGN COMPANY. WE LOVE WORKING WITH REALTORS, INVESTORS AND HOME OWNERS AND STRIVE TO PROVIDE EXCELLENT CUSTOMER SERVICE. OUR TEAM SERVICES HOMEOWNERS, REALTORS, INVESTORS, AND BUILDERS. WE CAN STAGE YOUR HOME USING YOUR OWN EXISTING FURNITURE OR WE CAN PROVIDE VACANT HOME STAGING AT AFFORDABLE PRICES. Philosophy: To create affordable home staging and organizing ideas so that our clients receive “top dollar” in the least amount of time. While creating simple solutions for all types of clients, we pride ourselves in remaining true to the integrity of the house, and our number one goal is to respect and be empathetic to our clients’ needs and requirements. We work with Real Estate agents to prepare their homes for listing and photographs, however we also work with individuals in preparing, organizing and staging your home. We have our own inventory of furniture for vacant home staging which in turn allows us to pass the rental savings back to the homeowner. We deliver, stage and beautify your home in preparing it to sell. Our furniture rental is very reasonably priced with 2 rental options available. We offer month to month staging or 90 day guaranteed rental contracts however we will work with anyone to create solution to meet your budget. Houston's Award Winning Interior Designer and Remodeler! Creating Spaces that Inspire, Impress, Captivate and Sell! Whether staging a home to sell or designing a particular living space, Staging Spaces and More, can do it all! We are a home staging company serving the luxury Houston housing market. We specialize in staging vacant homes for real estate agents and builders to help increase traffic and sell quickly! UpStaged HomeStaging strives to create a relaxing, open and comfortable space that will increase the marketability of your home. Our services help buyers feel that emotional connection to your home that ultimately leads to more offers. Whether you need recommendations of furniture placement, paint color or cosmetic repairs we have the answers that will secure the best return on your investment. Strategic planning is the key in positioning your home to sell quickly. We offer many options to fit your particular needs, budget and timeline. In-home consultations are a minimum of up to three hours depending on the size of your home and exact needs being addressed. You will be provided an evaluation report that will assist you in determining the work needed to bring your home up to the level to competitively compete against other homes in your area. If you are having difficulty and just can’t seem to bring it all together UpStaged HomeStaging can help re-design your space by using your own furnishings, repositioning furniture and re-create a refreshing new room with minimal expense in a shorter amount of time. We can do as much or as little as you would like including shopping for those most important accessories. Upstaged can help bring your aspirations of function, color, design, theme and individual style to life by creating a room that you’ll love. Houston's Leading Home Stager | 2x Best of Houzz Winner! 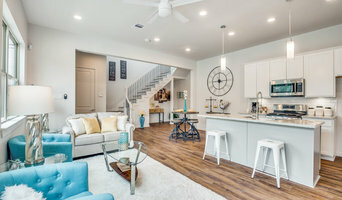 Home Stagers for the Houston, TX area specializes in vacant home staging for Real Estate Investors, Realtors, Builders and Contractors who want to "turn up" their real estate marketing a bit though interior styling. We also provide occupied staging consultations and staging as well as consultations and staging to live projects. Providing Houston with superior vacant home, model home and investment property staging and design services. Staging Spaces and More is a “passionate” Home Staging and Interior Redesign company. Serving the Greater Houston Metro area and surrounding suburbs. We work directly with our awesome home owners, our realtor partners, Houston’s real estate investors, and also area Home Builders. We offer an array of services since every opportunity is different and unique. Our job is to help our clients achieve that ultimate goal of either selling a home as quickly as possible and for as much as possible or creating a living space that can be appreciated and enjoyed by the home owner, their family, and others. Cathy, the president of Cathy’s Staging Spaces and More, LLC, doing business as “Staging Spaces and More”, believes that her job, as well as the job of those that work with her, far exceeds making recommendations, rearranging furniture, decorating, and adding color. It’s extremely important to listen to the client, to communicate and share openly, so the desired end result can and is accomplished! Whether staging a home to sell or designing a particular living space, Staging Spaces and More, can do it all! All of my services are priced differently, but appropriately. My exact pricing and price ranges are found on my website. Staging the Nest is a home staging and interior design company serving homeowners, realtors, investors and flippers. We offer occupied and vacant home staging options to meet our clients' needs. Showhomes Home Staging provides a full menu of home staging services for owner-occupied and vacant homes. Our marketing strategy is unique to the home staging industry. We make home staging affordable while assisting Realtors and their clients in selling residential real estate quickly and for top dollar and showcase a property so that it appeals to buyers. Our service helps Realtors build their business by enhancing their menu of services - specifically, the marketing aspect of their listings. We are a national franchise company that has been in business since 1986 assisting Real Estate Agents and Home Owners selling over 24,000 homes resulting in over $8 Billion Dollars in property sales and have been featured by: Oprah Winfrey, HGTV, the Travel Channel, ABC Morning Show, Fox New Network, Inside Edition, CNN, Wall Street Journal, Money Magazine, New York Times, Los Angeles Times, Boston Globe, Orange County Register, USA today and many others. When choosing a Staging Company go with a proven TEAM that can help get the job done! Home Staging and Design in Cypress, TX and surrounding areas. Staging, Styling, and Impacting Homes, whether you are selling or updating. Our customized design concepts reflect the way people desire to live. Impact Interiors specializes in the most advanced and successful techniques of Interior Lifestyle Staging and strategic merchandising exclusively geared towards Private Homes, AirBNB and VRBO properties. With the use of beautiful furnishings and award-winning designs, we make the first impression a lasting one. Elaine has always been drawn to the art of staging homes – the ability to visualize rooms in their most efficient and aesthetically-pleasing arrangements comes naturally to her. When she decided to turn her passion for harmonious homes into a business, there was only one word to describe her talents for home staging: Organic. Organic Home Staging takes all elements of your home and creates a harmonious environment in order for you to sell it quicker and for more money. Additionally, for every sale of services 5% of pre-tax service costs are donated to a charity of choice. If you are a homeowner, developer, or realtor in the greater Houston area, don’t hesitate to contact Organic Home Staging next time you’re ready to make a sale. What does an Atascocita home stager do? 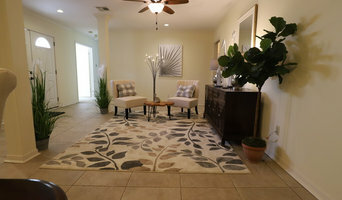 Home staging companies in Atascocita, TX employ a variety of different techniques to present the home in the best light possible. The first step will likely be to make sure the home is impeccably clean, including the exterior of the house. Next the home stager will work on removing the personal touches that are unique to the current owners. Paint colors might go from dramatic reds and purples to neutral tones like beige and taupe, in order to appeal to the masses. The home will likely be cleared of family photos, risqué artwork, collections and knickknacks, so potential buyers will be able to better envision their own life in the house. In some cases furniture will be swapped out, and you might not even recognize your own house. 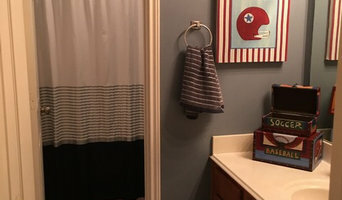 Some Atascocita home stagers tackle most of these tasks themselves, while others work with subcontractors and other professionals to get the job done. Here are some related professionals and vendors to complement the work of home stagers: Interior Designers & Decorators, Photographers, Real Estate Agents. The process of staging a home can be difficult for some homeowners, especially when being asked to change things you’ve poured your heart and soul into over the years; but try not to take anything personally, as the stager only has your best interest in mind and no intention of insulting your personal taste. Before you contact a professional home staging company in Atascocita, TX, make sure to consider a few things: Are you willing to change your home and take the advice of this professional to help sell your house? Do you think your house would greatly benefit from the help of a stager? How long are you comfortable having your home on the market? A staged home is likely to sell faster and, on occasion, at a higher asking price than a non-staged home. While there is no guarantee this will always be the case, it’s often true and can make the entire selling and moving process a lot less stressful in the long run. If you are selling through a real estate agent, it’s a good idea to get their opinion on whether staging your home would be beneficial to your specific situation. Find a certified Atascocita home stager on Houzz. Narrow your search in the Professionals section of the website to Atascocita, TX home stagers. You can also look through Atascocita, TX photos by style to find a room you like, then contact the professional who staged it.